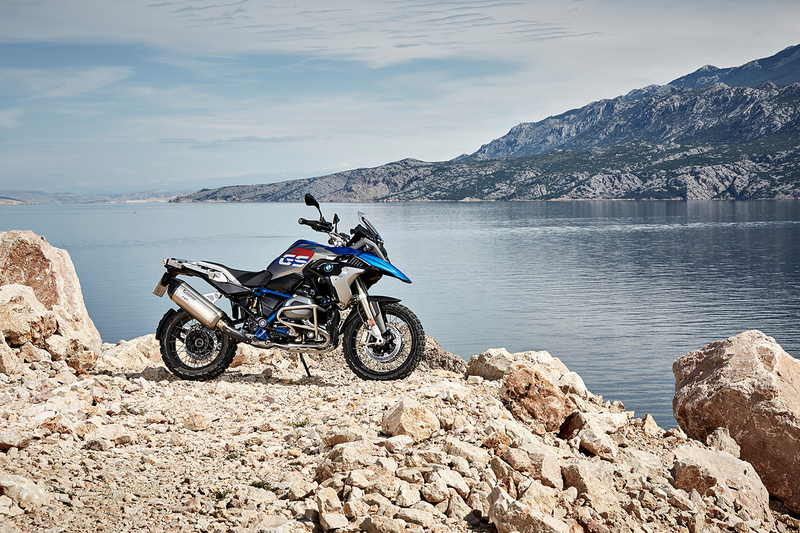 In 2013 BMW raised the level of the adventure motorcycle to new heights. They created another bike that could do it all. Only this time the GS did it with more character, more refinement, huge enjoyment levels and great poise. That bike rolled into showrooms four years ago and in that time a lot has happened. 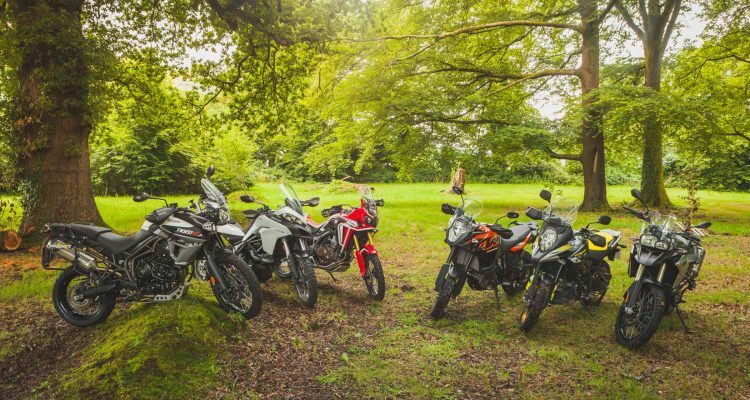 When the GS landed, BMW and KTM simultaneously changed some very fundamental things about what we’ve come to expect from a bike. Until that point high performance electronics were reserved for different markets. 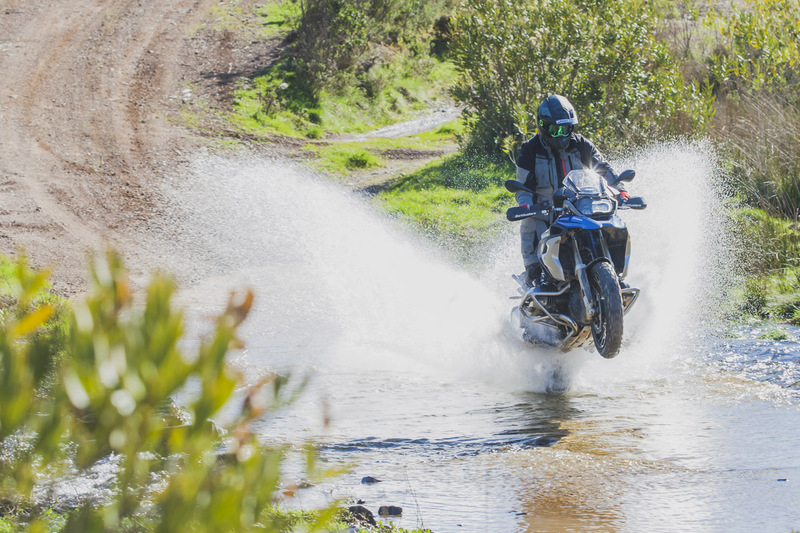 Electronic suspension or clever ABS and traction control systems didn’t happen on adventure bikes. The previous generations were rudimental and clunky, especially off-road. 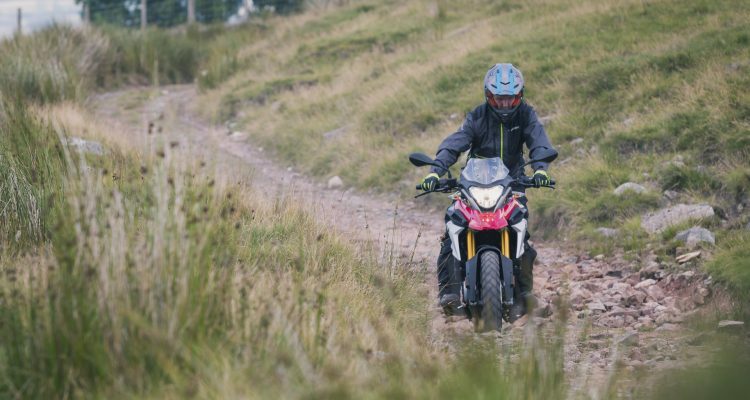 The 1190 Adv and the new GS smashed all we knew about those bikes, with rider modes that changed throttle response, traction control settings and suspension damping on the fly. They were now genuinely fast, highly capable road bikes, that could smash miles, shred dirt tracks and always put a smile on your face. Four years down the line the GS is winning. It’s the UK’s biggest selling bike but plenty of other companies have bikes that do all the things the GS does. 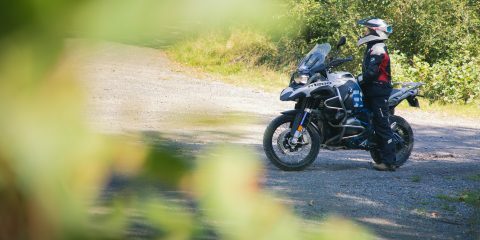 In-fact, 2017 is the first time that the R 1200 GS has seen anything more than a tweak here and there. 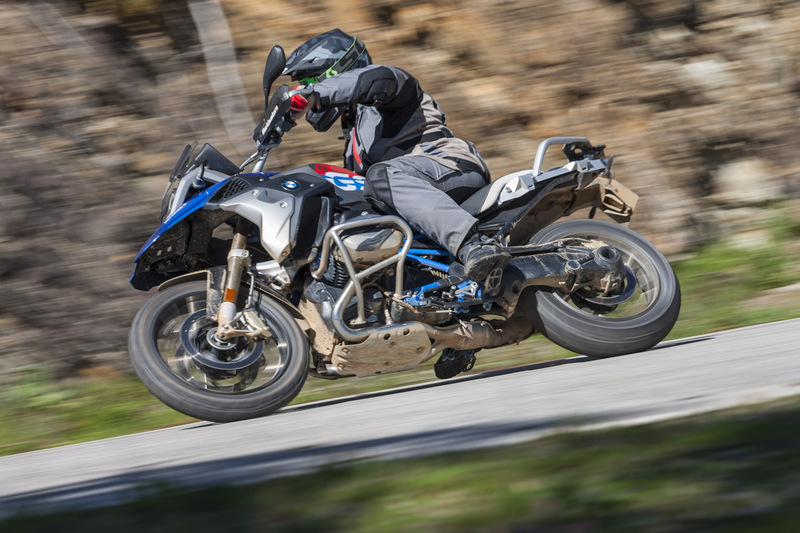 BMW have released some updates to the electronic systems on the bike, added the ability for lean angle data to be utilised by the traction control and ABS systems and released the new Rallye edition. The 2017 R 1200 GS Rallye in all its beauty. New panels are typical of a BMW update. The Rallye edition is the closest thing in the BMW range to a KTM R model. It’s a new, rather fetching paint job that comes as standard with a few off-road centric options. There is a new single unit seat that’s flatter and thinner through the knees. 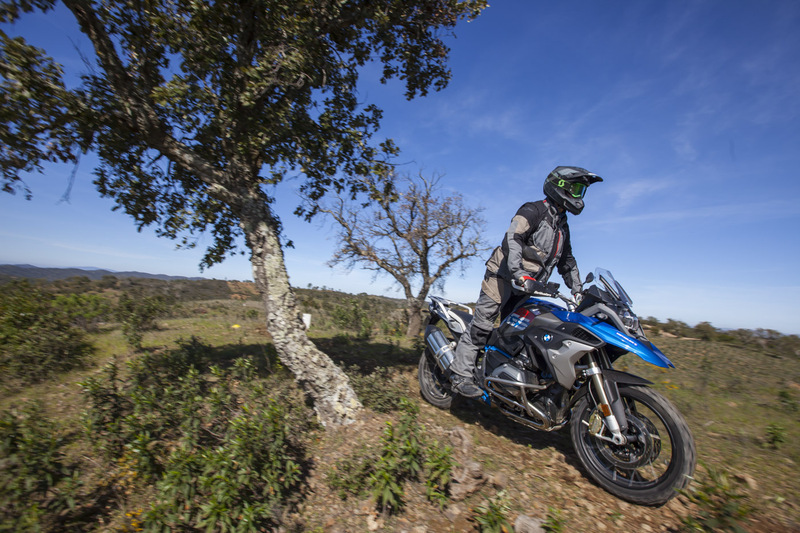 The small screen is also part of the package, as are the wide off-road style footpegs taken straight from the R 1200 GS Adventure model. The centre stand has also been removed and can either be optioned or a paddock style stand can be bought for engaging in home repairs. The addition of lean angle data to the electronics package is a pretty big change. KTM added this to their package a while ago and it’s a solid performance improvement. 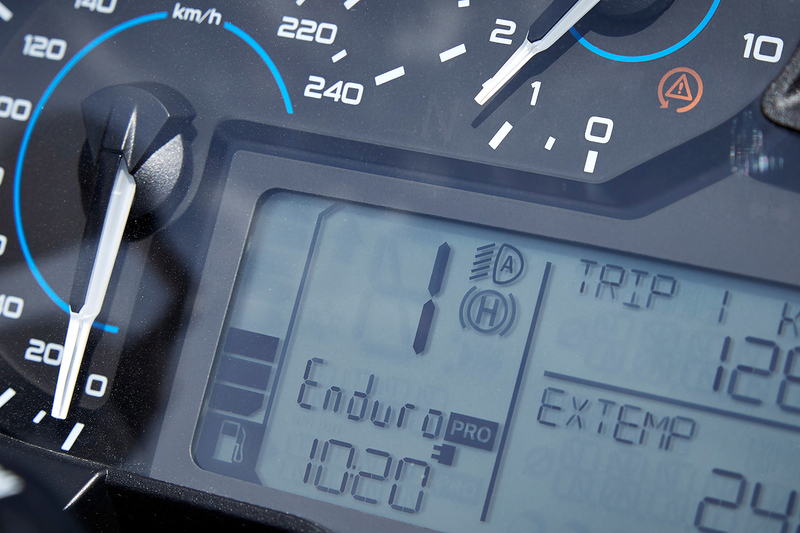 You can now also control the individual settings of the Dynamic Pro and Enduro Pro rider modes to suit preference. 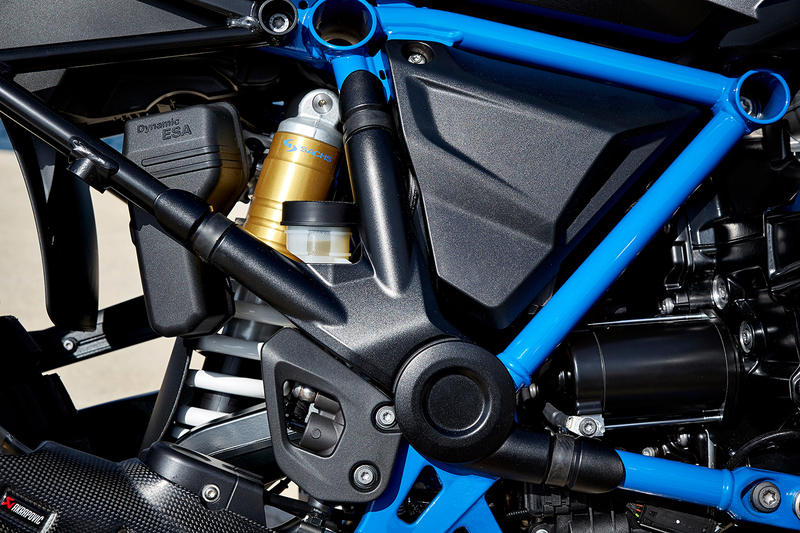 It’s nowhere near as in-depth as the Ducati system but you can change throttle response, traction control and ABS to any combination. 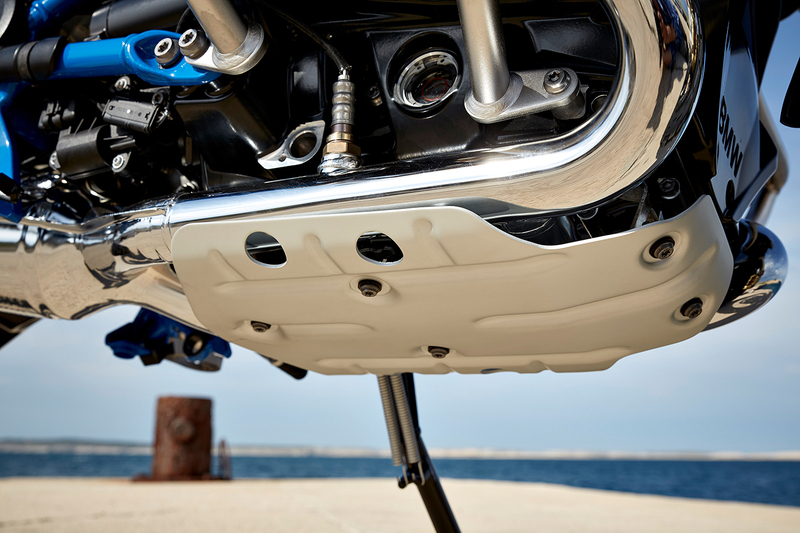 Footpegs from the Adventure are standard on the Rallye edition. Sump guard is standard, the centre stand is removed on the Rallye. 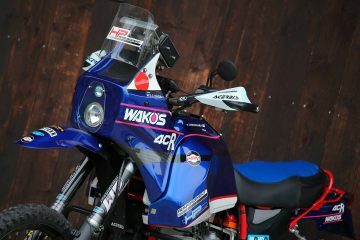 Frame guards as stock on the Rallye. The GS is a bike that never fails to impress me. It’s four years since the current generation came to life and plenty of bikes have attempted to steal its crown. Despite the constant onslaught of new, very good bikes it always seems to holds its own. The fundamental characteristics of the bike are what allow it to keep sitting at the top of the pile. It handles fantastically, the engine is a torque filled, smile creating monster and it is crazy easy to ride. I’ve simplified things there but that is the crux of what a day on the GS taught me. Let me explain. Easy, sharp turning and seriously fun. The road performance is generally what captures my heart about the GS. I always return to the saddle buoyed by the enjoyment of many other bikes and impressed by their prowess on the blacktop. 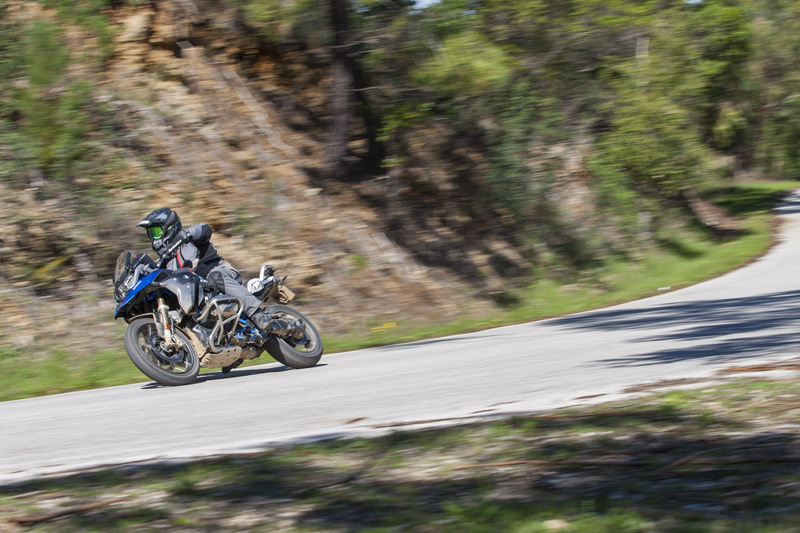 And yet after a five-month absence from the seat of an R 1200 GS, it blew me away like it was my first time riding one. It’s quirky to ride. The front end doesn’t really dip on the brakes, so running corners is a different experience. Different is however, not bad. It doesn’t dip, dive, wallow or sit up inappropriately. The GS turns into corners with the faintest of thoughts, holds that line outrageously well and makes life on the public road stupidly easy. 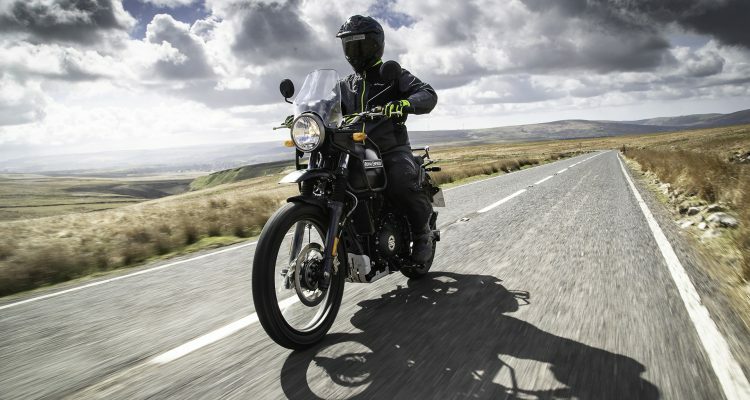 It’s confidence inspiring, effortless and the epitome of the lazy man’s bike. 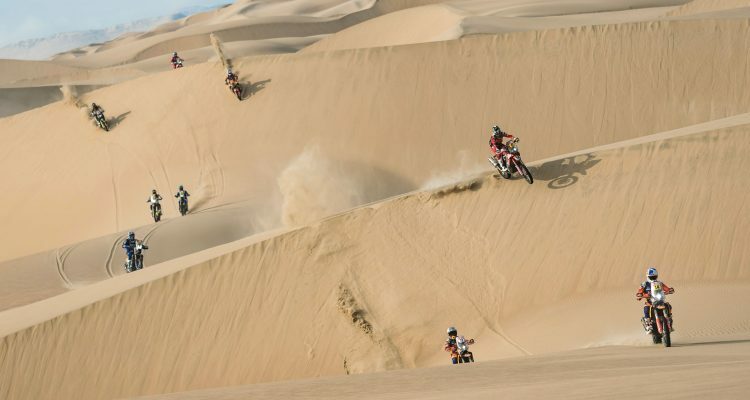 You don’t need to concentrate to ride a GS at all. You can roll along, not touching the brakes and barely touching the throttle while still carrying tremendous pace. It’s a bike that never seems to punish you either. You can brake mid-corner, run terrible lines or ride like a moron and the GS regularly makes up for your mistakes. The engine drags you from corner to corner to corner with the iconic boxer punch that lets you pull any gear you want, anytime. The brakes stop you as quick as you’ll ever need too with immensely positive feel and feedback through the lever. 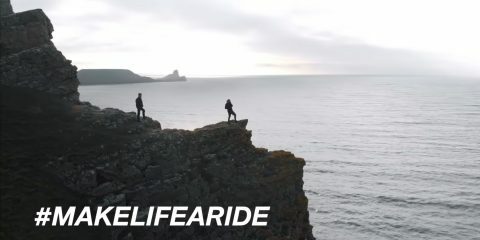 Add in the quality and effectiveness of the linked brakes and the ABS system and arrive at one of the finest braking setups on any adventure bike or touring bike, anywhere.. The whole equation ends in a bike that is very hard not to like once you’re actually riding it. 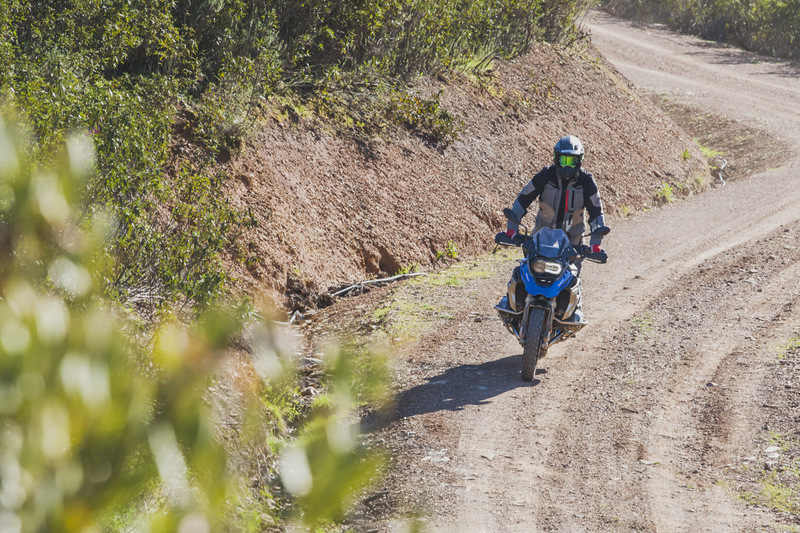 When the tarmac gives way to the dirt is when the GS really surprises. Brutally, it shouldn’t work. It lacks a conventional fork and on the scales it’s heavy, yet none of that matters when you use engineering science to build something. 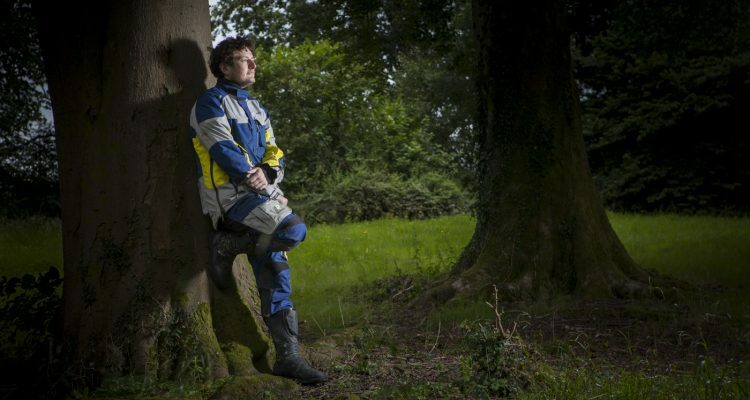 The BMW engineers have ‘scienced’ the heck out of the R 1200 GS and it works miles better than it ever had a right too. Testing the new ABS Pro to the max on dirt. Calm and collected, all day, everyday. The GS’s biggest strengths are the balance of the bike, the torque of the engine, the crazily good brakes and the lightness in your hands. The whole package works together and everything that makes it a good street bike also make it a great dirt machine. I know that makes me sound like a crazy person but it’s really true. The engine is phenomenally effortless to ride, pulling tall gears with ease and letting you glide along like a magic carpet. It’ll pull you up hills and out of holes all day long getting grip if you’re gentle and power sliding everywhere if you’re not. Even better is the balance left to right. The sticky out cylinders keep the centre of gravity low and controllable. It makes technical riding, slow speed turns and difficult trails easier than should be possible on a 200kg+ machine. 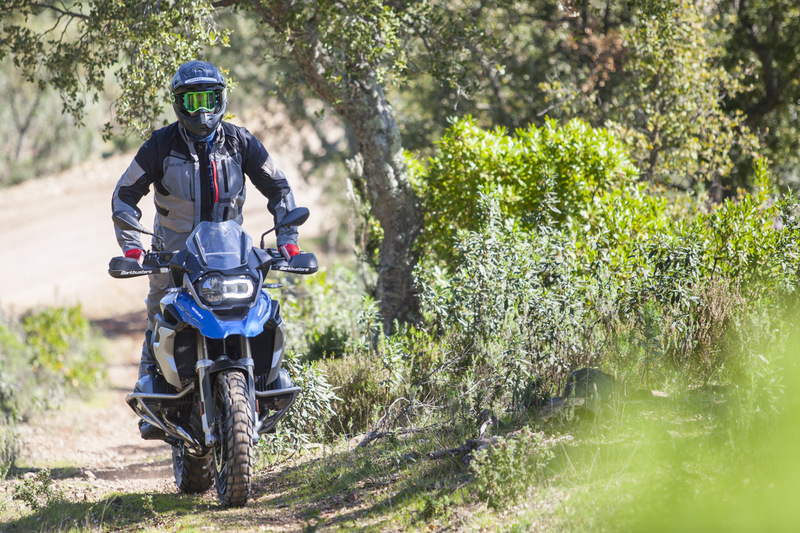 The true gem of the off-road riding is how light and effortless the bike feels in your hands. The steering FEELS light and that tricks your brain massively. As a result the whole bike is light when you’re riding because it doesn’t feel heavy. I honestly don’t how BMW did it. None of the other GS’s feel the same way, no other bike in the category feels the same but it’s brilliant and effortless to ride. Now don’t get me wrong, when you push the envelope you need still need skill to make the bike work but the brilliance of the GS seems to be the planted, docile and nursing nature. It helps you out, gets you through way more than it should and the electronic aids elevate your skill level massively. That is the sheer brilliance of it. On paper being able to tweak the Modes sounds like a small and innocuous change. One of the BMW’s strongest features has been the simplicity and ease of use. Changing modes has literally been a button push and clutch pull away and doing so significantly changes the attitude of the bike. However, being able to tune the settings is a really nice addition, especially as the standard modes and the Pro modes are very different. To access the Pro modes you plug in a little module under the seat. That plug also lets the bike retain your settings, so if you ride without traction but with ABS you can leave the bike as is. It means you don’t have a heart wrenching moment as you ride down a cliff face with the ABS on. The downside until now has been that ‘Pro’ generally means the bike’s electronic systems interfere less. 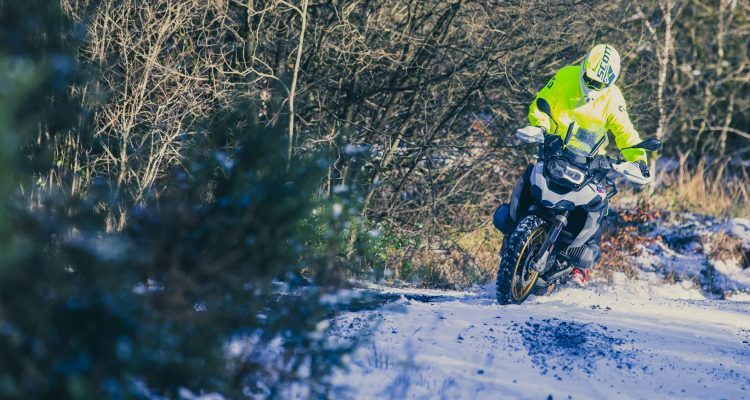 In Enduro Pro the ABS is removed from the rear wheel and traction control limit is much closer to the edge of the actual grip level than the standard Enduro mode. 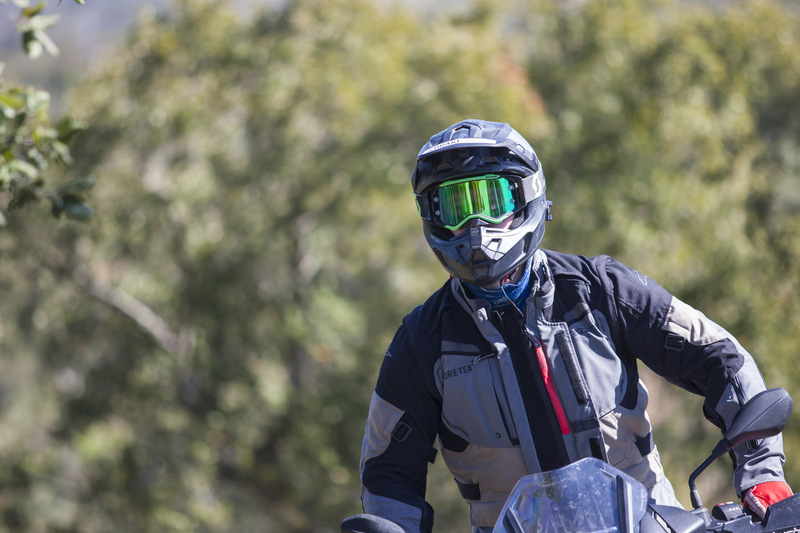 That’s great if you’re confident off-road rider but if you’re not it’s pretty negative, mostly because the electronics are so effective at keeping you upright and moving. The Pro modes are now customisable. Now you can have the Pro Plug in so the bike retains your ABS/Traction and mode settings in the memory and tweak the Enduro Pro and Dynamic Pro modes. For example, I settled upon using Dynamic Pro mode with the Road mode throttle response for the twisty Portuguese roads. The Dynamic mode throttle is abrupt when you want a nice smooth roll on. All in, the change is small and it’ll never be a deal breaker if you’re looking for a new bike but in the moment that you make that change, having the freedom is nice. The bigger change is the lean angle sensitive ABS Pro. It’s effectively the same BOSCH made system that has cornered the electronic aids market and it’s very good. This is most noticeable when braking deep into a corner. The telelever is already very good at this as it doesn’t squat like a conventional fork and therefore doesn’t try and sit up as you brake deep. The updated ABS now lets you do even more stupid things like pull brakes when you shouldn’t or get around that cat or manhole you just spotted on the apex, with a much lower chance of becoming intimate with a hedge. The new ABS system has also been tweaked so that the wheels will never lock. Until now, the GS has on occasions let the wheel cross the line momentarily and while that hasn’t been a problem it’ll no longer go there. Most GS’s sold are done so with Electronic Suspension. Until this test I’d never ridden the stock suspension version. The ESA has been lauded with praise across the board because quite frankly, it is incredible. The change between modes is dramatic and the performance, comfort and flexibility of it is fantastic. The way it alters the damping control at the push of a button is game changing. For 2017 BMW have added an auto preload adjust feature. Previously this was limited to an ambiguous weight system consisting of rider selected images of a single rider, a rider plus luggage or a rider and a passenger. Now the idea is that the bike auto adjusts when you sit on it, so the balance of the bike front to rear should always be spot on regardless of your luggage situation. Now all that is very clever, very luxurious and very effective but do you need it? Is standard suspension with manul rear preload adjustment okay or should you spend the extra cash. That all depends on your budget but the standard, non ESA suspension is pretty damn good. It’s not perfect and it’s far less flexible but it’s also not a disappointment. Around town it’s little sharp and harsh but as soon as you put some speed under the wheels it’s perfectly happy, decently well settled and doesn’t over wallow. It’s a good flexible setting and if ESA didn’t exist we’d have little to bemoan. The biggest downside is having to manually add and remove preload until the bike feels balanced but I can live with that. 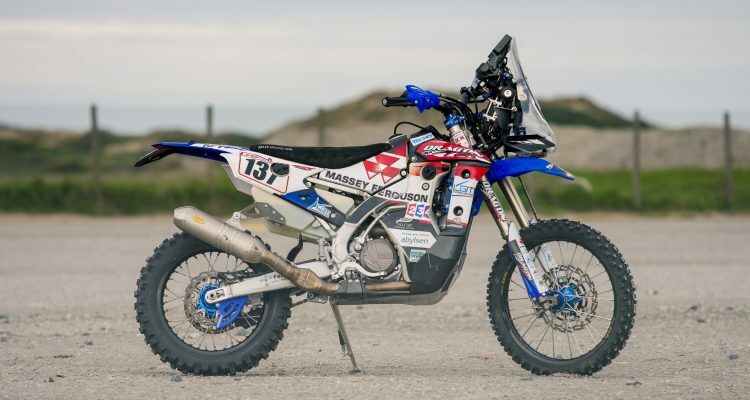 The special features that come fitted to the Rallye are specifically aimed at the off-road focussed GS rider. While they may be in the minority, they do exist. Oh and the small screen/rally seat combo looks far better. Despite the changes being small, they do improve the bike. Firstly, the seat is a better shape. It’s 10mm taller but narrower where your legs typically connect when stood up. That narrowness makes the bike feel less tall when stopped in spite of the height increase, but the footpeg to seat ratio is a little nicer for the taller among us. 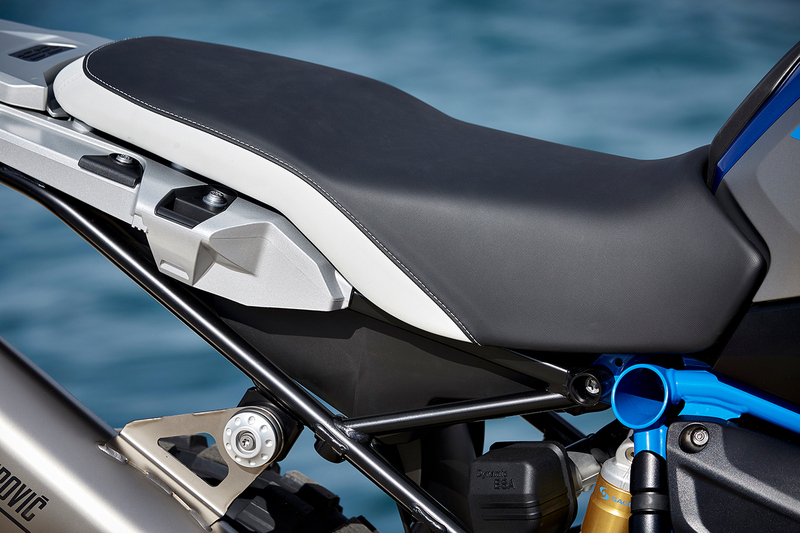 The slimmer design also pushes your knees out less when stood up and catching boots on the seat is a thing of the past. The new seat is really nice for standing up and medium/tall people. The little screen is awesome for off-road and town riding. 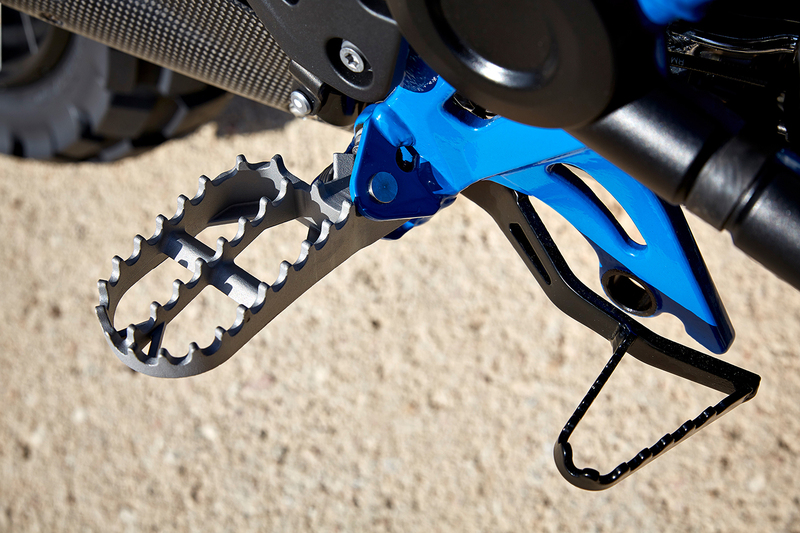 The addition of big footpegs is also a total gem for dirt riding. 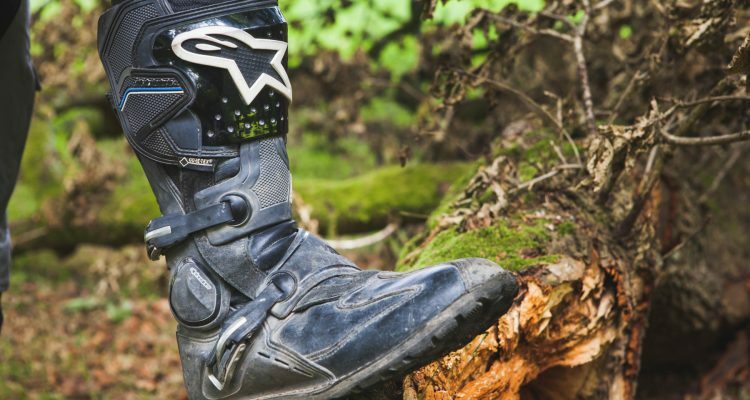 The stock Adventure model footpegs are simple, effective and putting them on a GS is something that should have happened an age ago. They’re grippy, wide and infinitely more comfortable to stand on over the course of a day. They only downside is the lack of rubber inserts means more vibration but it’s not the end of the earth. The little screen is also far better than it appears. It’s still fully adjustable on the fly and for riding around town or in the hills it’s much better. It makes the bike feel much smaller than before and gives you plenty more vision. 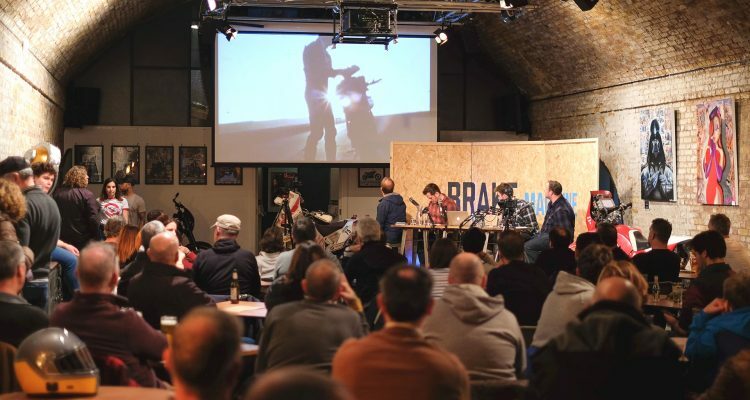 Plus, the chances of smashing your face into it when pretending to be Charley Boorman are far reduced. The biggest positive however is that the bubble of clean air is still there. If you’re 5”10 or under, the chances are you’ll still be in a nice clean pocket of buffer and noise free air. If you’re taller you may have to do a little hunching over but the screen is still surprisingly effective. The Rallye is a better off-road bike. 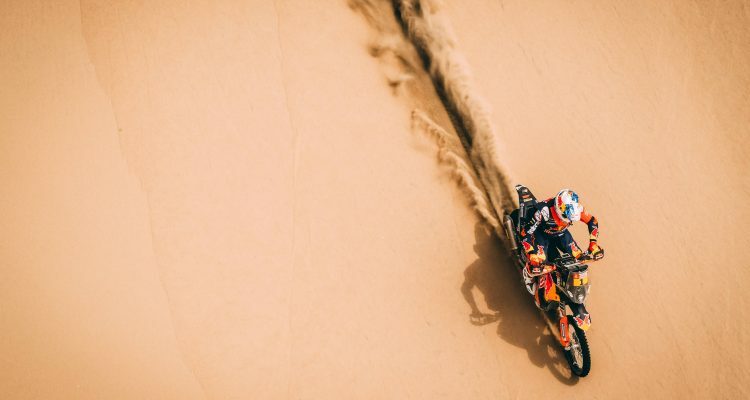 There aren’t many big bikes capable of these kinda antics. The lack of a centre stand is always going to be down to how much you use one. 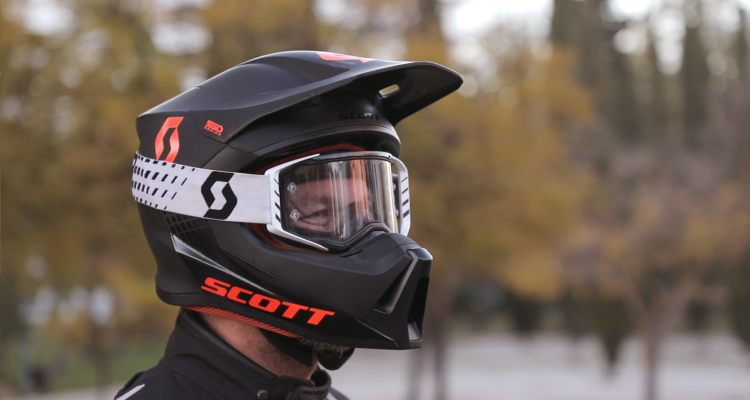 It’s typically been a bothersome design for off-road riding. 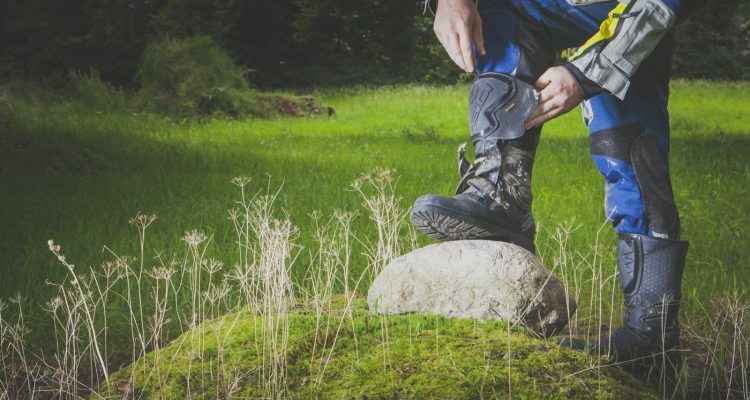 The stand regularly catches the heel of your boot and the ground so losing it from an off-road perspective is really good. If you want one you can always purchase it as an optional extra as all the mounting points remain on the frame. The only thing really missing from the package is the addition of the height adjustable Adventure model rear brake pedal. The stock rear brake pedal is still a bit poor and sits too low to be good on the dirt. 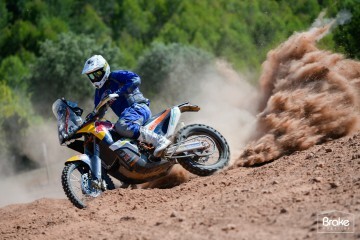 The test in Portugal was without the new, shiny, KTM R model rivalling Pro suspension. It’s not available to buy until May this year. That means, unless you attended the world intro you can’t ride it. What am I missing out on I hear you cry? 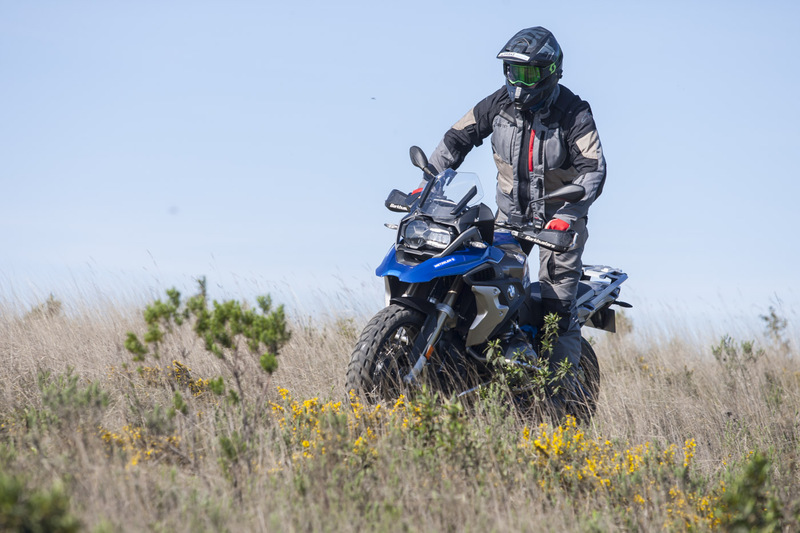 Essentially, it’s the suspension from the GS Adventure. That means you get 25mm more travel front and rear, with a stiffer spring rate than the standard GS. The Pro suspension is purely designed to go faster and work better. We’ll be able to tell you in a few months how well that works but if you’re not fussed on going faster then we wouldn’t worry too much. 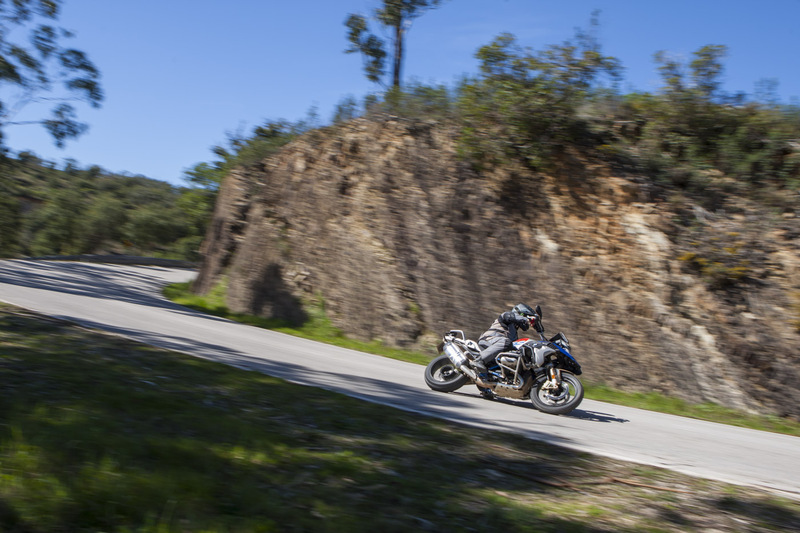 We learnt a lot on the R 1200 GS Rallye Launch. 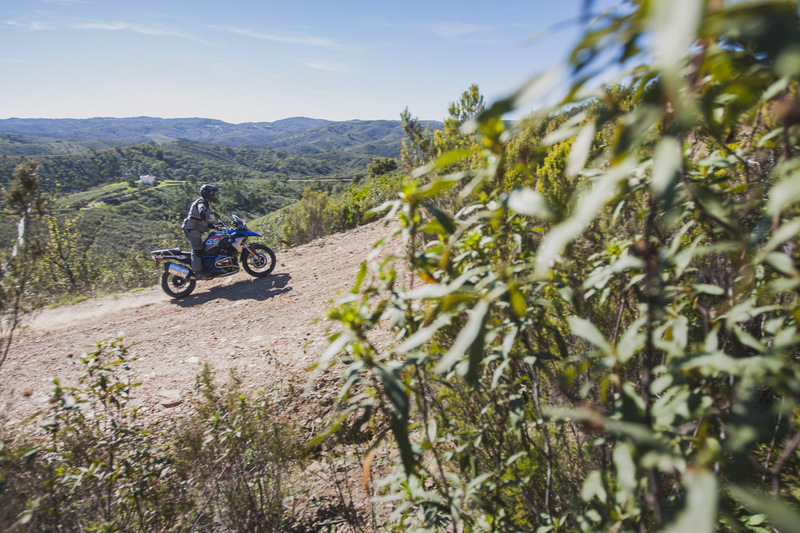 We learnt that southern Portugal is a motorcycling paradise, with dreamy, empty roads and endless trails carving across the tops of the hills. 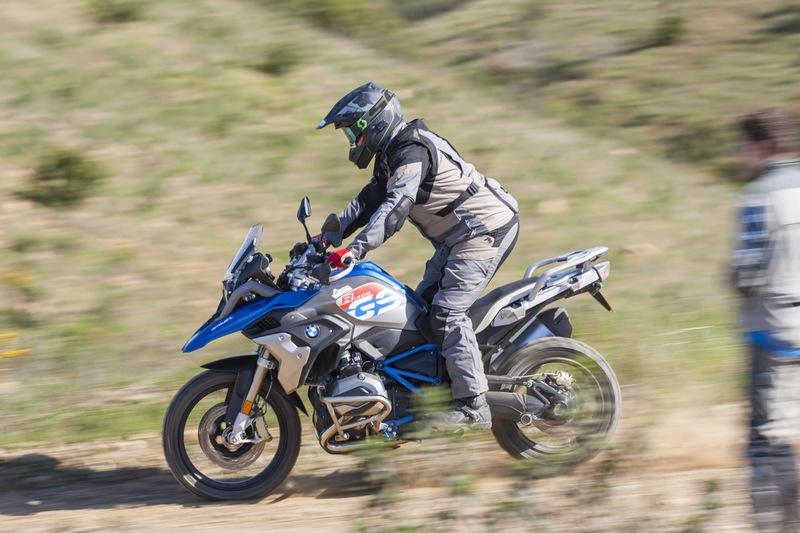 More importantly, the big lesson of the day was that the R 1200 GS has earned its crown. It is a phenomenal bike, despite the onslaught of competition. 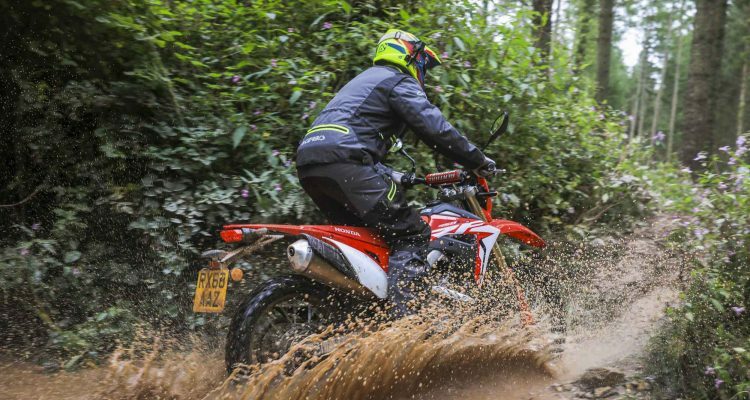 For all it’s quirks and weirdness it rides fantastically well on and off-road, is comfortable and enjoyable to ride and is very well polished. The controls are sublime to use, the switch gear is simple and well designed and the problems of the early models seem to be solved. What BMW have mastered, is a bike that quite literally can do everything. It’ll never win in any discipline but at the same time you’re never not having a good time. Be it street riding, riding dirt through the mountains, whipping through traffic or getting a track day in from time to time, the GS is a total boss and now it comes in a sweet paint job. Don’t get me wrong, this isn’t a BMW advert. There a plenty of bikes that do individual pieces a little better. 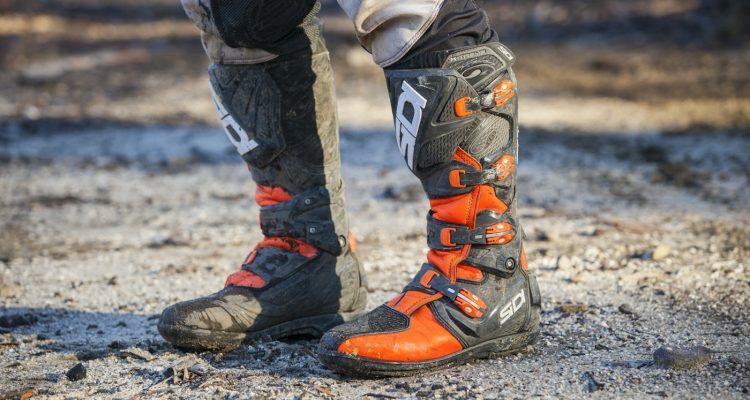 The KTM 1190R is a better off-road bike. Lots of the other adventure bikes are epic street weapons but the GS is probably the easiest to ride and one of the most enjoyable to ride. 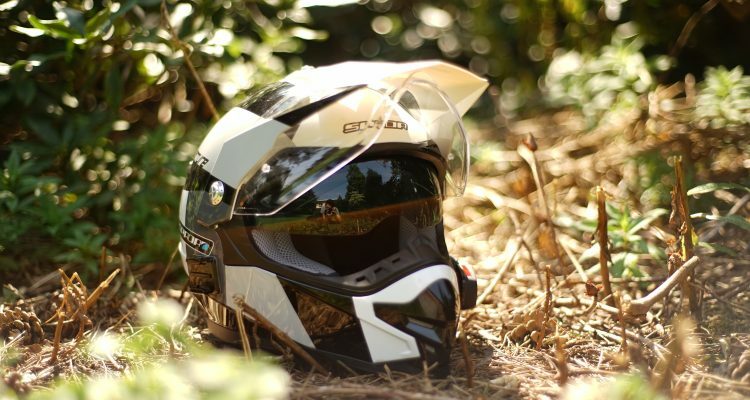 The GS is now the iPhone 7 of the bike world. It’s really good, it’s really premium and it hasn’t had to change all that much. 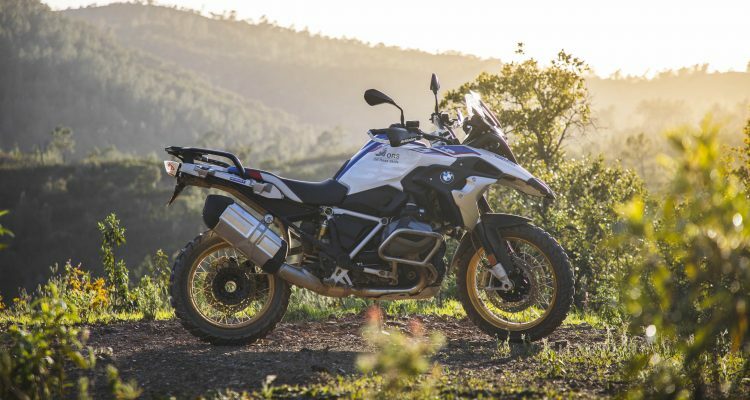 That doesn’t mean you have to buy an R 1200 GS to have a good bike or to travel and tour. 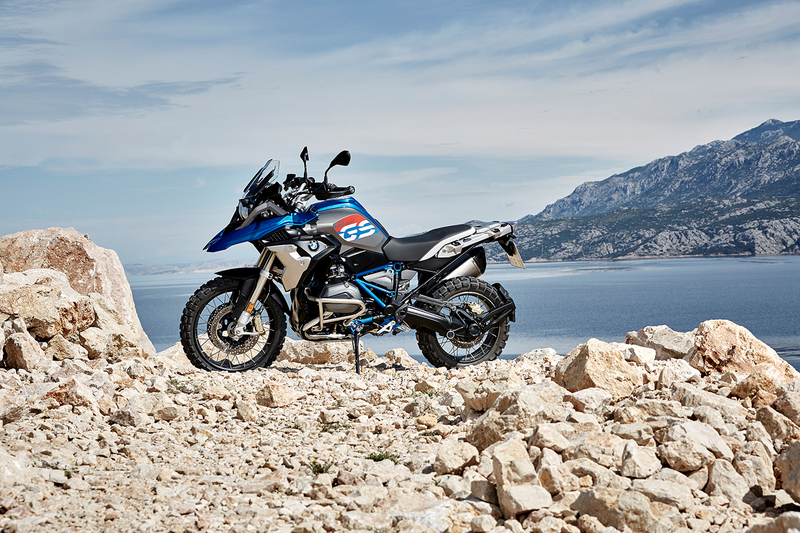 In the adventure category you can buy any myriad of awesome machines filled with character, ability and enjoyment but if you find yourself in BMW showroom you won’t be disappointed in how well the bike rides, no matter the riding you do. 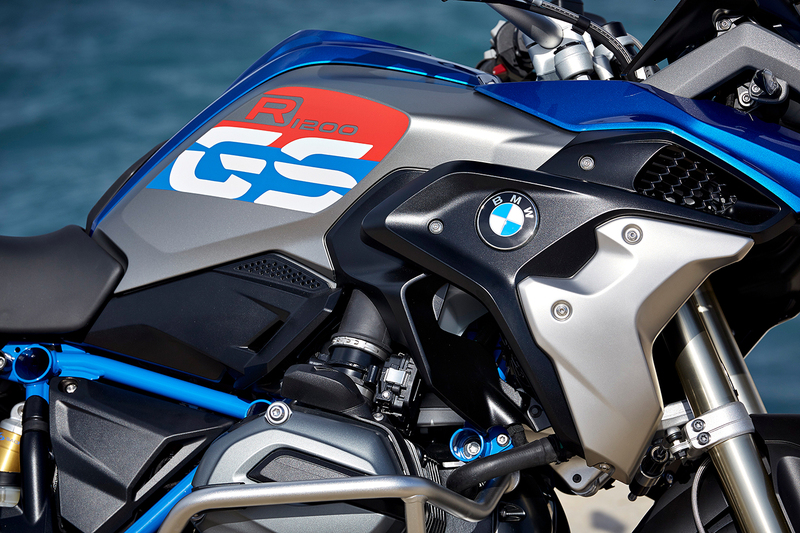 Pricing – For more on the GS Range click here. The standard GS starts from £12,250.00 on the road. The Rallye edition starts from £12,730.00 on the road. This price includes ABS, Traction Control and basic rain/road modes. 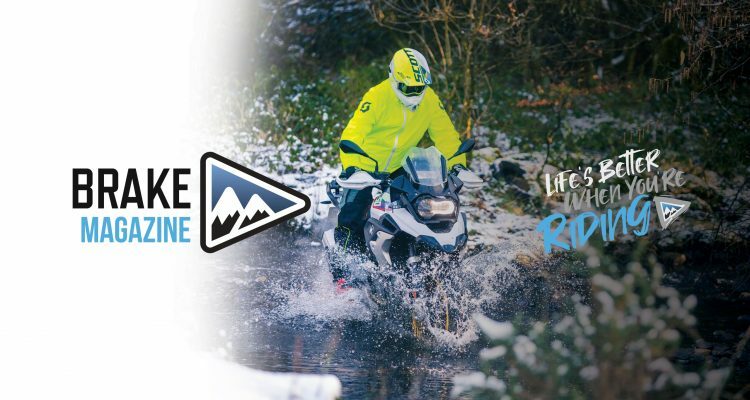 The model we tested were the standard Rallye fitted with the Dynamic pack that includes Gear Shift Assist Pro, LED headlights, LED indicators and the Riding Modes Pro package that includes all riding modes, Hill Start Control and ABS Pro. The bikes were also fitted with heated grips and tyre pressure control. The total cost of that option package and extras is £14,560. The new sport suspension costs £290 and the Dynamic ESA is £755. Character filled, awesome all-round bike that can seems to fit anyone, riding a huge variety or terrain.